It was Ringo’s idea of doing a chess set. He wanted me to design different hand positions instead typical chess figures. 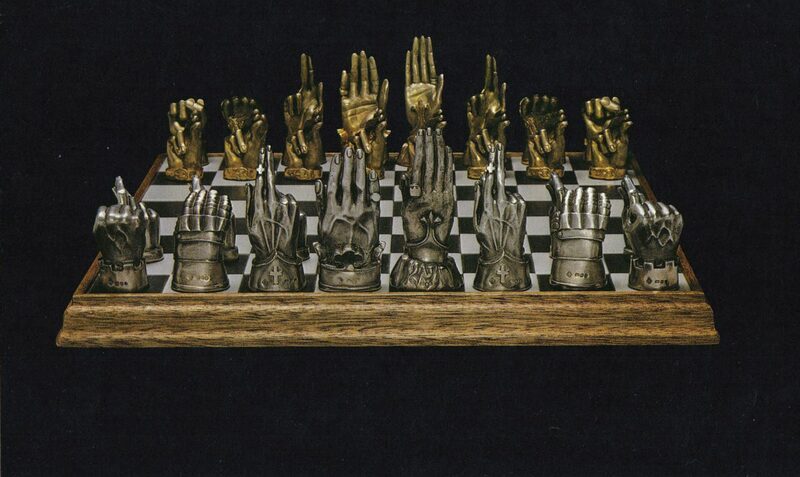 After I have created the wax modell of the complete chess set the British jeweler Asprey manufactured a few copies silver and gold plated. 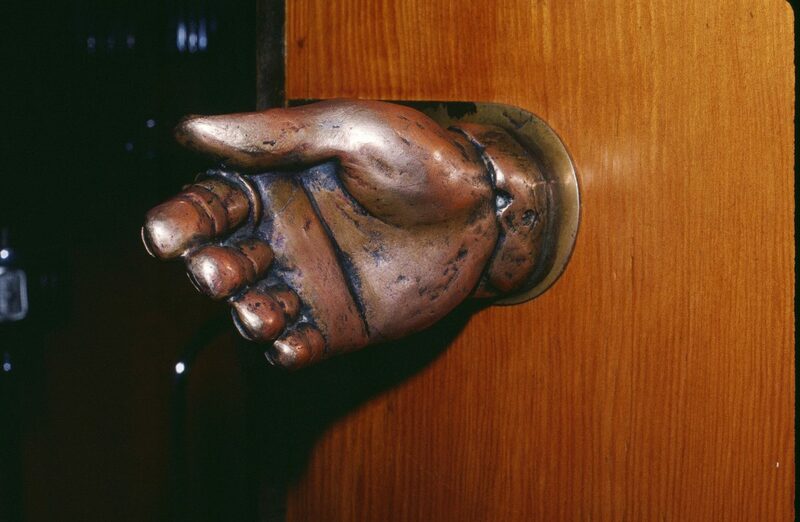 A cast bronze doorknob using Ringo’s hand as the model, including a star shaped ring on index finger. Created by Klaus Voormann as a gift for Starr in 1972, the doorknob was used on the door to Starr’s home recording studio at Rydinghurst in Surrey where among other things, John Lennon’s Imagine was recorded.